When it comes to mounted cameras, the name GoPro certainly rings a bell, as we have also seen some of their offerings in the past that are certainly cool in its own nature. 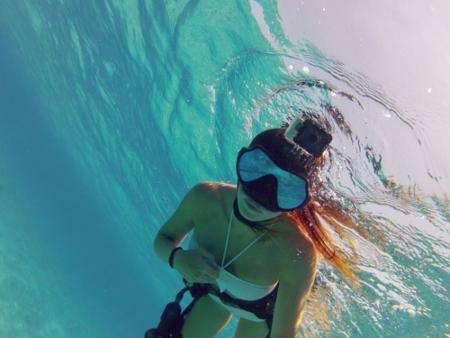 Well, this time around, GoPro wants you to enjoy your underwater experience (snorkeling, especially) with the GoPro Dive Housing that will come with a large, flat glass lens which paves the way for maximum photo and video sharpness even when you are underwater, allowing you to snap away or record in a myriad of resolutions. It is said that the GoPro Dive Housing is waterproof up to 197 feet or 60 meters, making it ideal also for underwater filming if that is your cup of tea. The GoPro Dive Housing will play nice with the entire range of HD HERO cameras, GoPro mounts and accessories. Each purchase of the GoPro Dive Housing will net you the waterproof Dive Housing, protective lens cap, tether string and assorted mounting hardware, where all of it is going for $49.99 a pop. Don’t you think that it is time to live a little bit and start being more adventurous in your outings?